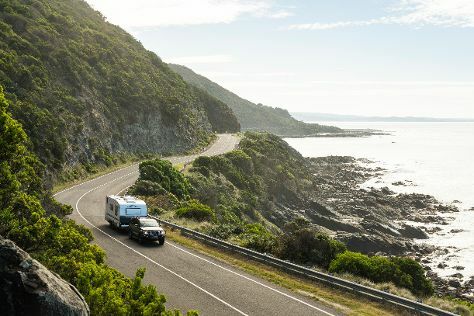 Start off your visit on the 5th (Tue): tour the pleasant surroundings at Bells Beach and then cruise along The Great Ocean Road. For traveler tips, ratings, reviews, and other tourist information, read Torquay trip planner. Kuala Lumpur, Malaysia to Torquay is an approximately 14-hour combination of flight and bus. You can also do a combination of train, flight, and bus; or do a combination of bus and flight. You'll lose 2 hours traveling from Kuala Lumpur to Torquay due to the time zone difference. While traveling from Kuala Lumpur, expect a bit cooler days and cooler nights in Torquay, ranging from highs of 25°C to lows of 11°C. Finish your sightseeing early on the 5th (Tue) to allow enough time to travel to Cowes. Start off your visit on the 6th (Wed): look for gifts at Tyde, pick up a one of a kind souvenir at Cowes Bazaar and Gallery, admire nature's wide array of creatures at The Nobbies Centre, brush up on your military savvy at National Vietnam Veterans Museum, then look for all kinds of wild species at Koala Conservation Centre, and finally kick back and relax at Cape Woolamai Beach. Get ready for a full day of sightseeing on the next day: enjoy the sand and surf at Red Rock Beach, then learn about winemaking at Stoniers Vineyard, and then identify plant and animal life at Panorama Garden Estate. To find photos, maps, traveler tips, and tourist information, go to the Cowes vacation builder website . Traveling by combination of ferry and car from Torquay to Cowes takes 3.5 hours. Alternatively, you can do a combination of train and bus; or do a combination of train and taxi. Expect a daytime high around 24°C in November, and nighttime lows around 13°C. Finish your sightseeing early on the 7th (Thu) to allow enough time to drive to Melbourne. 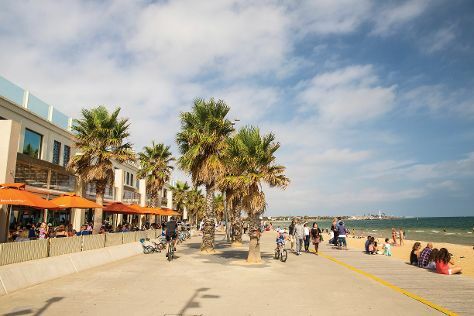 Take a break from the city and head to St. Kilda Beach and Melbourne Zoo. Head to Melbourne Central and Minotaur Entertainment Melbournefor some retail therapy. There's much more to do: admire the natural beauty at Royal Botanic Gardens, enjoy the sand and surf at Half Moon Bay, take in panoramic vistas at Eureka Skydeck 88, and enjoy unforgettable views with a balloon tour. To find other places to visit, ratings, maps, and more tourist information, read Melbourne visit app . You can drive from Cowes to Melbourne in 2 hours. Alternatively, you can take a bus; or do a combination of taxi and train. In November in Melbourne, expect temperatures between 26°C during the day and 11°C at night. Cap off your sightseeing on the 13th (Wed) early enough to travel back home.